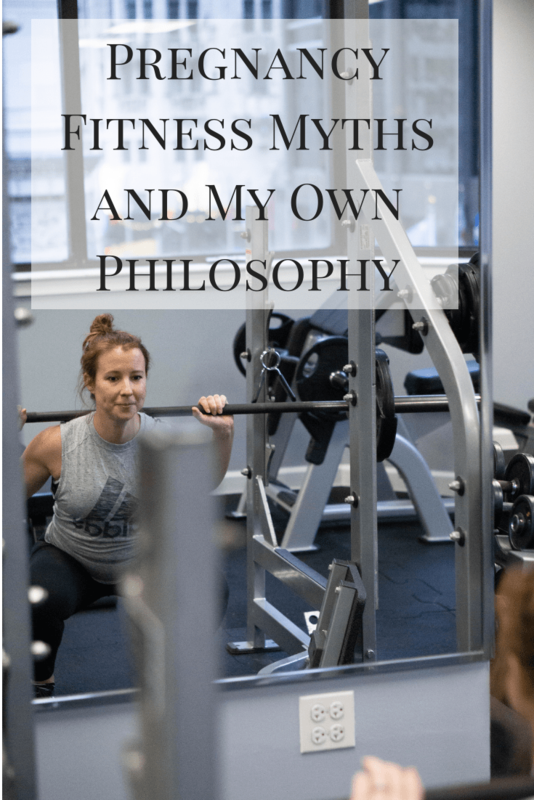 As promised in this post, I’m here to address not only my own fitness during pregnancy, but also to dispel some of the common fitness myths that exist around pregnant women. *I am a certified personal trainer, but I am not a doctor. Make sure to get clearance from your doctor before starting an exercise program or continuing your own during pregnancy. LISTEN TO YOUR BODY. Each woman is different and each knows her body the best. If it tells you to slow down, slow down. If you feel discomfort during a movement, find a modification. If you had been following an exercise routine prior to getting pregnant, you can continue that routine, making adjustments as necessary. If you had not been following a routine, it’s important to move and stay active, but do not start a new, strenuous routine after getting pregnant. Stick to low impact movements like walking, swimming, yoga, or easy strength training. It was once advised not to get your heart rate above 140 beats per minute, but today there is no numerical limit to avoid when exercising. Typically, your body will tell you when it’s time to slow down and it’s usually before you would normally have to. Increased blood flow and the work you’re putting into growing another human takes a lot of energy! One of the main reasons that crunches and abdominal exercises on your back are not advised is because as you progress in your pregnancy, lying on your back can put pressure on your vena cava, which carries blood to the heart. This can lead to feelings of dizziness and can be prevented by simply performing those movements at an incline on something like a stability ball. Until that point, however, they are fine to do. Listen to your body as you progress and find a modification once it’s time. Depending on what stage of pregnancy you’re in, certain moves may be more appropriate. Planks are fine, but as your baby gets bigger, it may feel more comfortable to do them on an incline using a bench. If you practice yoga, there are several twisting and bending moves that should be avoided but that also have pregnancy-appropriate modifications. Make sure to find a teacher who knows how to help you get the most out of your practice. Again, it’s important to gauge your own comfort level with a movement. If it doesn’t feel quite right, find another one or use a modification. I have been doing high-intensity classes and/or Crossfit for more than five years. It is a routine that my body is well adapted to and something that I have continued doing throughout this pregnancy. There can be a lot of controversy over these types of exercise, but I will tell you based on experience and education that they are perfectly fine for both me and the baby. In fact, moves such as heavy squats and deadlifts help prepare the body for delivery much better than other types of exercise. Much of the controversy comes from a lack of education and a reliance on outdated guidelines. As with any exercise program, I adapt and modify things as I need to. I mentioned before that exercise during my first trimester was almost laughable compared to my normal level of intensity. I had a much harder time catching my breath and bringing my heart rate down, so I simply slowed down. I’ve had to modify pull ups to a combination that includes ring rows since it’s harder to pull myself up to the bar with the added weight. I cut out sit ups pretty early on because they started to feel uncomfortable. Right now I’m still able to do box jumps, although as I get bigger, I will likely change them to step ups. Obviously as things progress, certain moves will become harder and I will only know what I can and can’t handle as time goes on. I’m committed to listening to the feedback from my body in order to adjust what I need to. I’ll be sure to report back and may even have a follow up post once I’ve been through the whole thing. If you have any questions that I didn’t address here, please leave them in the comments below! Remaining active during pregnancy was one of the BEST decisions I made. Although I didn’t do a lot of heavy weights or HIIT workouts, I ran early on and did cardio barre and yoga. I had a rough labor, and I truly think it would have been tougher had I not been active. Good tips and THANK YOU for helping to dispel some of the outdated info. 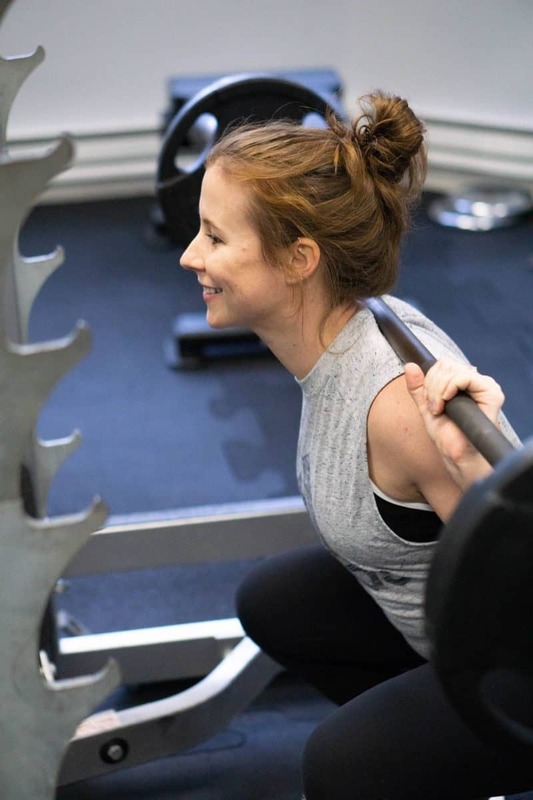 I’ve often wondered about how my own fitness routine might change when I get pregnant. It’s encouraging to hear that I can still do the workouts I love! Thanks for this post! Great post! I think the most important thing you mention here is listening to your body. That is something that’s important throughout our lives, but is even more significant once your body is going through so many changes pregnant! 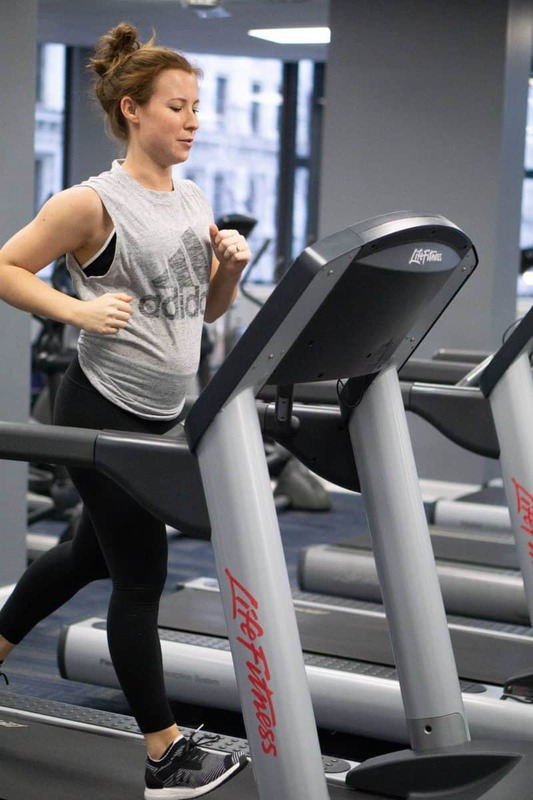 100% agree that working out during pregnancy is a great idea! 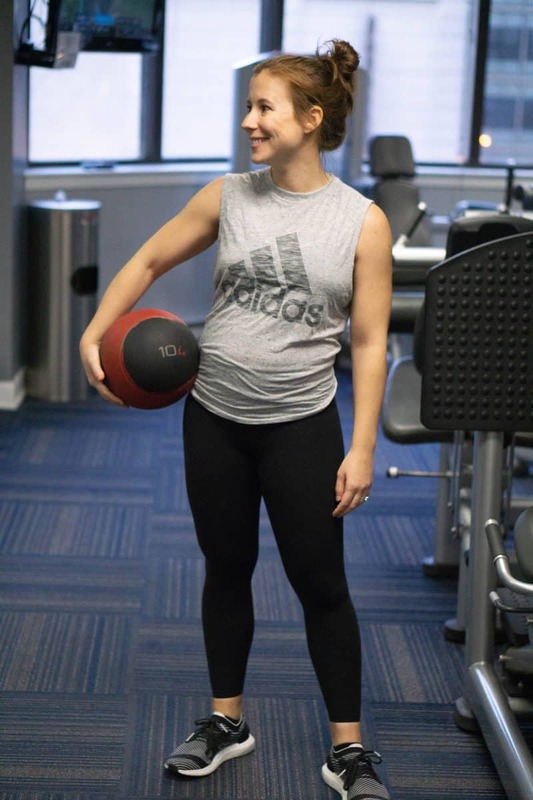 When I was pregnant with my daughter last year, I continued running until 27 weeks, and lifted weights until 37 weeks, modifying things as needed. Even when I didn’t have a lot of energy, I still felt much better after working out. Interestingly, my daughter was born reeeeeally strong, and now at 14 months she still amazes me and my husband with how strong she is! Great job! As a longtime labor & delivery nurse, I have seen how much easier pregnancy and delivery is when a person is fit and knows their own body. I can’t say it enough, “pregnancy is not an illness”. 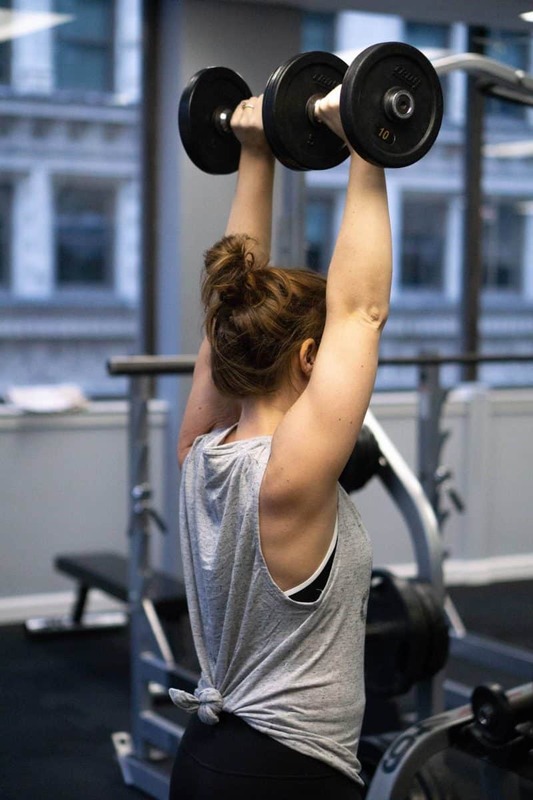 While it does hit some women harder than others, it important to do what you can physically. “Pregnancy is not an illness” – I love that!! 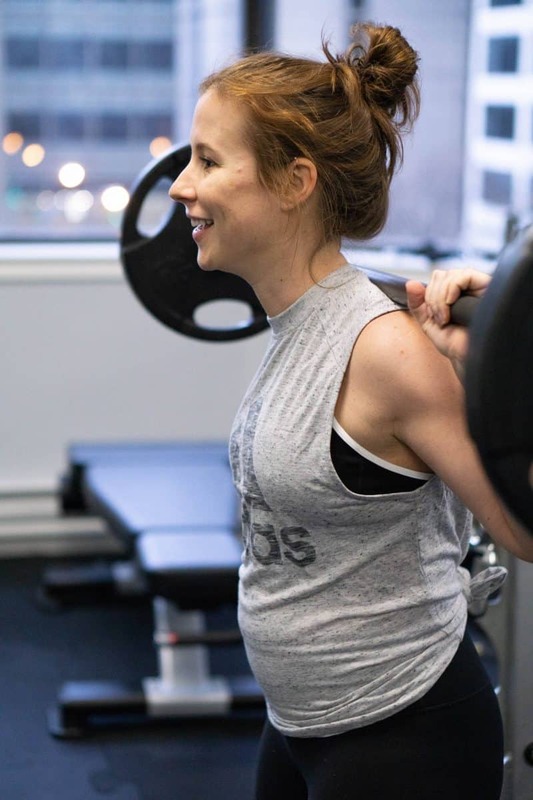 I face a lot of criticism being 6.5 months pregnant and still running (well, wogging now…lol), boxing with a bag, and lifting weights. My mom and MIL both have commented on me needing to slow down where other younger people have commented that they are impressed I still can keep up with things. I think it truly is more a generational thing and at the end of the day, I do what is best for me. On days when I feel tired, I rest. On days when I know I can push myself, I do. I have always been an active person and so it shouldn’t have come as a surprise to people that I would continue with that while pregnant. You were right, though: listen to your body and treat it kindly. Kind of reminds me of that scene from Forrest Gump when he talks about running: When I got tired, I slept. When I got hungry, I ate. When I had to go, you know, I went. Perfect! That’s my philosophy as well. I pay more attention to what’s going on and don’t try to be crazy with my workouts like I have in the past. Love the Forrest Gump reference!! Great post, I could relate to so many of those. It is crazy how much life changes once you have a baby. This article is so simple and informative. I think we all should read it at least once. Thanks a lot for this great article. A good friend of mine gave birth recently and she had been doing a lot of yoga while pregnant. She said she believes it actually helped her give birth.